These Tropical Flavor bears are as soft and warm as a tropical breeze. Pick from eight beautiful colors. Our Tropical Flavor Bears are exciting and bright! Collect all these charming bears for yourself or someone you love, or both! 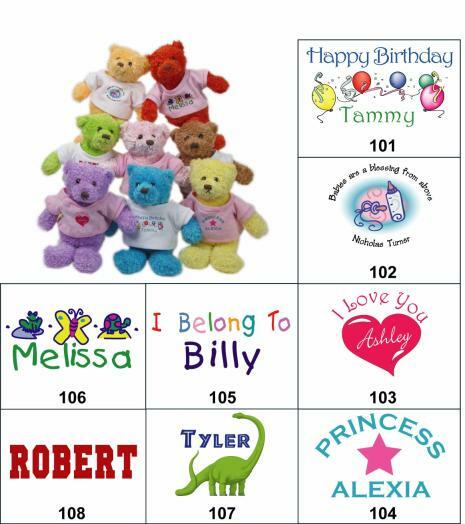 They come with with your choice of available graphics customized by you and printed on your choice of a white or pink tee shirt or choose a sweatshirt for just $3.50 more.